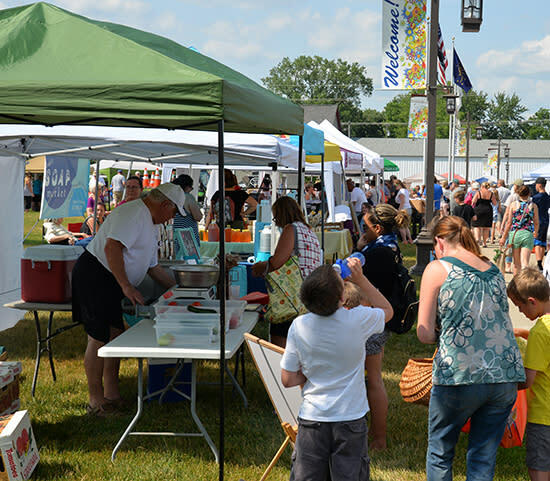 Shoppers will enjoy locally grown produce, eggs and meat, artisan baked goods, handcrafted items and more when the Brownsburg Farmers Market presented by IU Health West Hospital returns to the Town Hall Green this summer. More than 40 vendors registered for the 2018 market. Food trucks and live music return as weekly features. The POP (Power of Produce) Kids Club, hosted by the Brownsburg Public Library and sponsored by IU Health West will host fun activities designed to connect kids with fresh food and their health. 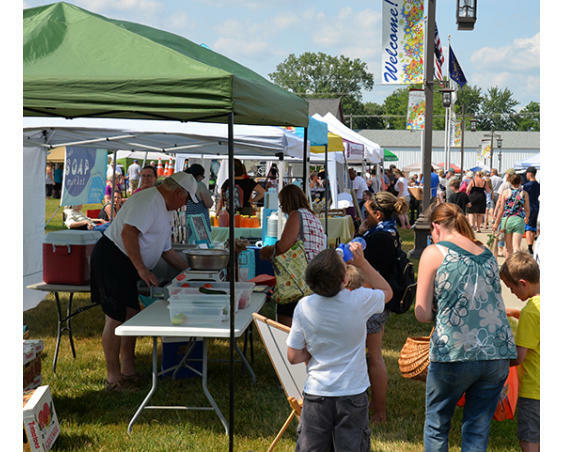 The Brownsburg Farmers Market is WIC and SNAP certified. Families who receive WIC nutrition program or SNAP benefits can purchase healthy and locally-produced fresh items with their vouchers. The Brownsburg Farmers Market allows SNAP participants to double their benefits up to $20 on fruits and vegetables at the market. Several vendors also participate in WIC and the new Hendricks County WIC incentive program called Double Up Produce doubles WIC benefits up to $50 for produce purchases.